Notes The versatile M1 was designed by Winchester, and was initially developed to arm Officers and rear echelon troops, more importantly to give them something with more range and fire power than the standard pistol. The M1 fired a reduced .30 calibre round which had better accuracy at longer ranges then the .45 cal round used in pistols and sub-machine guns. 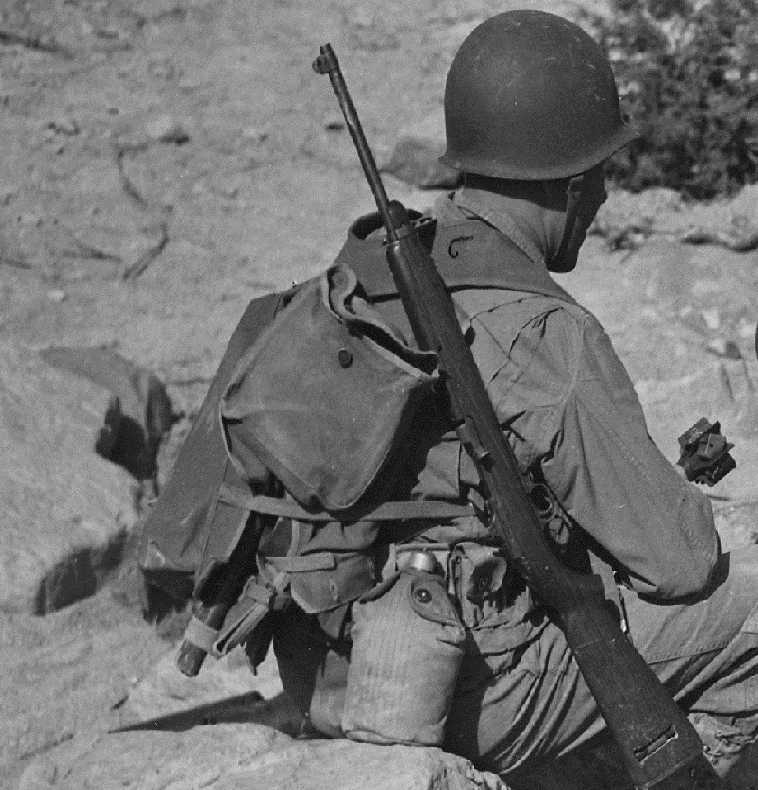 The M1 carbine was issued to officers, NCOs, artillery and mortar crews and remained in service until the early 1970s.